Mindfield eSense by Mindfield Biosystems Ltd.
Biofeedback with the eSense sensors! 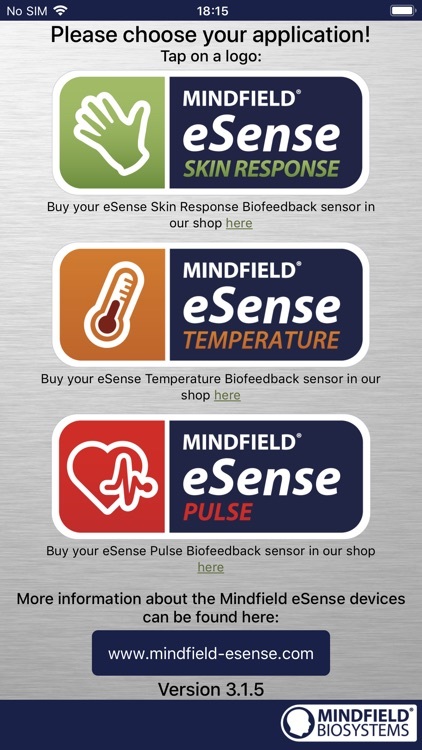 The Mindfield eSense Skin Response is a small sensor to measure your skin conductance using the microphone input of your smartphone or tablet. Your skin conductance depends directly on your state of relaxation or stress, making it a commonly used and very precise stress indicator. 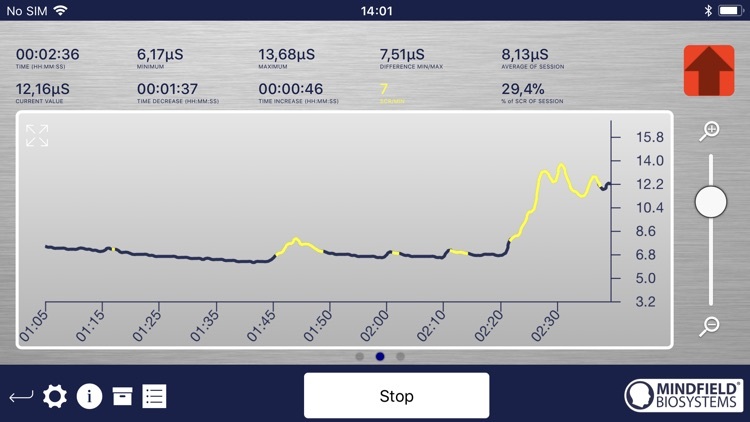 With the eSense Skin Response, you can precisely identify your stress level and reduce it with biofeedback training. 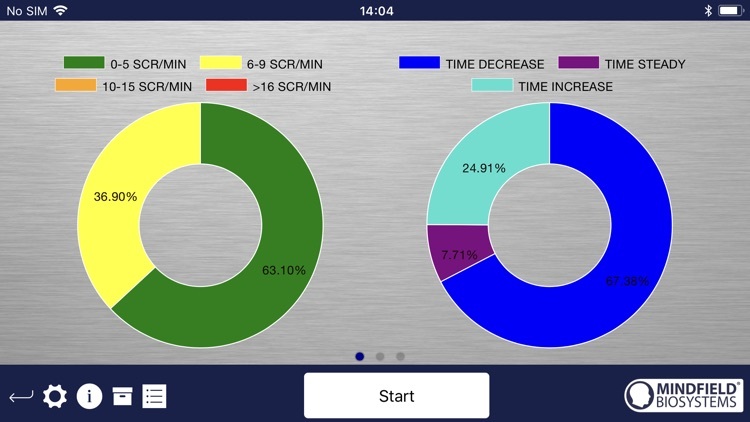 This App includes a comprehensive manual for training and many training possibilities. When we are stressed, we tend to have cold hands. 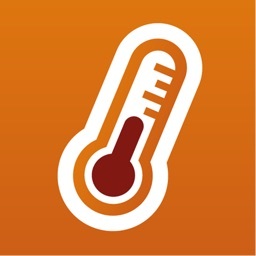 Immediate feedback enables you to voluntarily increase the skin temperature in your fingers, thus, increasing your peripheral blood circulation, leading to relaxation and stress reduction. 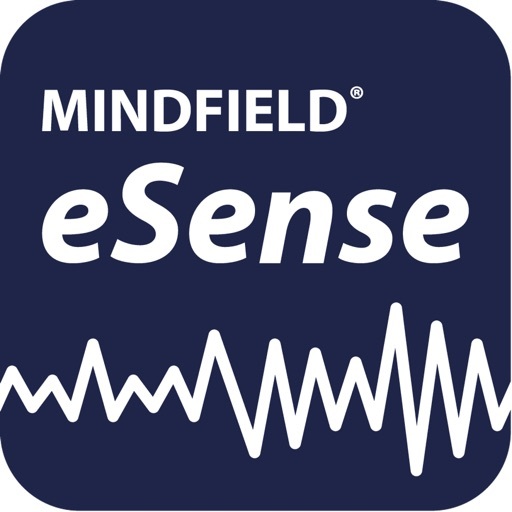 The Mindfield eSense Pulse is a precise 1-channel ECG chestbelt sensor to measure your heart rate variability with your smartphone or tablet. The connection is made via bluetooth LE. 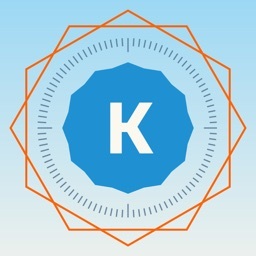 The heartbeat is related to tension and relaxation and is a potential stress indicator. 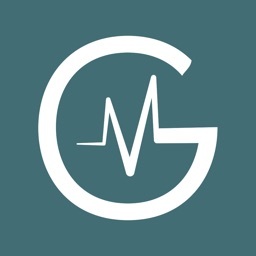 The measurement of heart rate variability is a large field in cardiology, sports and coaching. 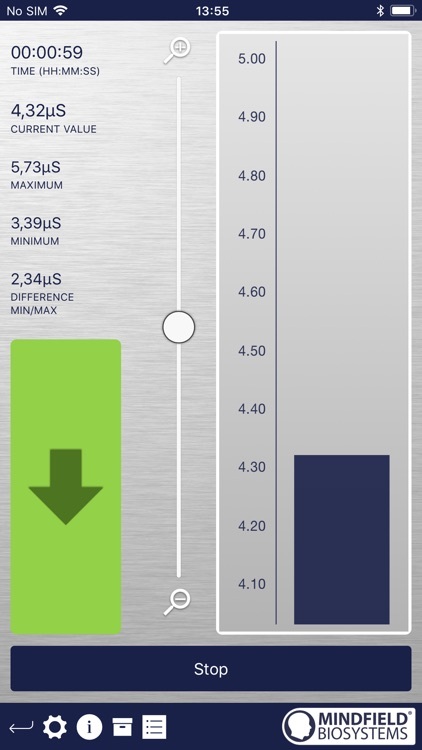 With the eSense Pulse, we focus on biofeedback training, i.e. 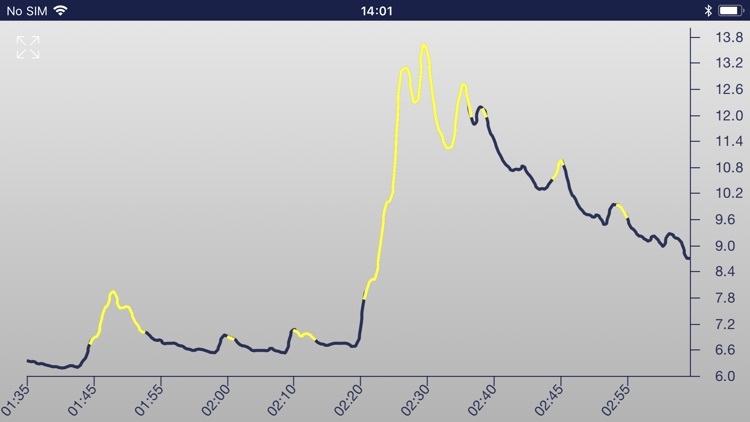 improving heart rate variability to reduce your stress level. 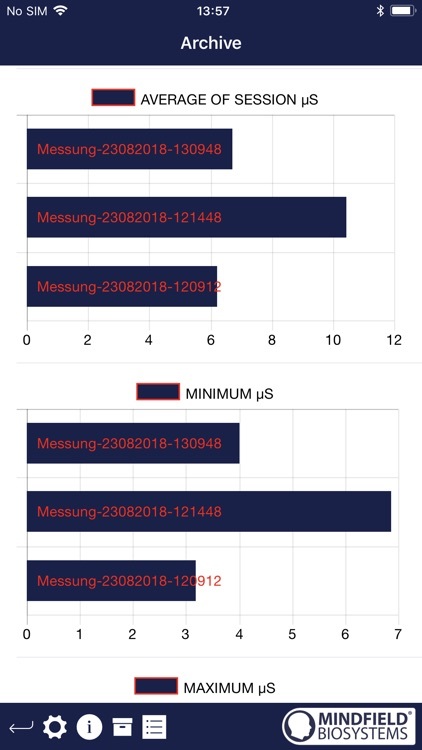 To describe the current state and progress of the training, the eSense app also provides essential statistics and analyses of HRV. 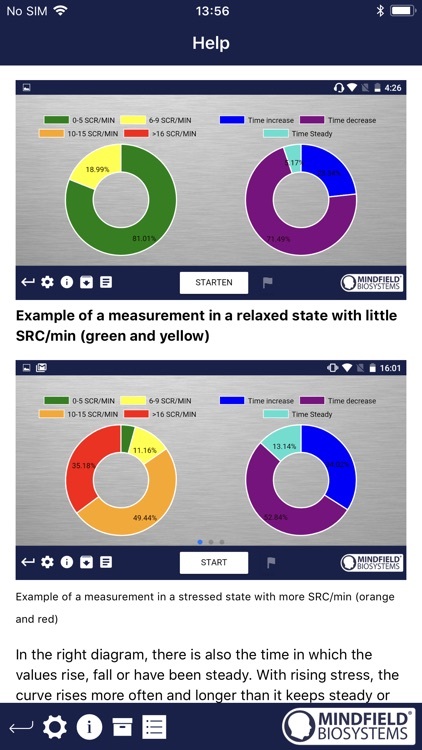 This eSense App provides you in various ways with exact feedback about your momentary stress level, e.g. with measurement curves, video display and audio feedback features. 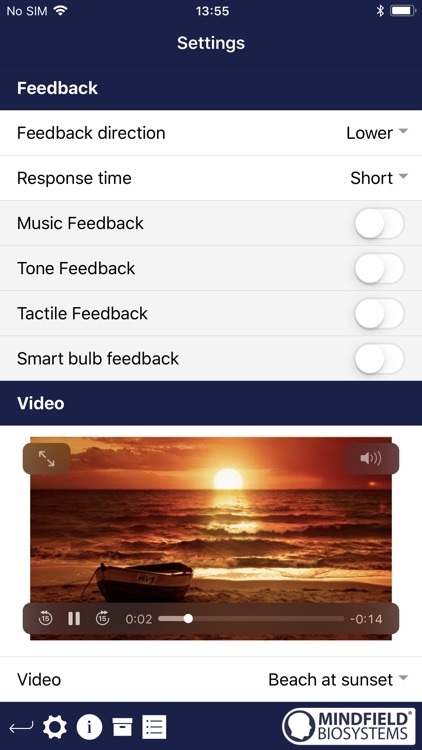 New: Tactile feedback (vibration of your smartphone) and control of smart bulbs (a bluetooth bulb, Magic Blue, available in our online store and all Philips Hue products)! 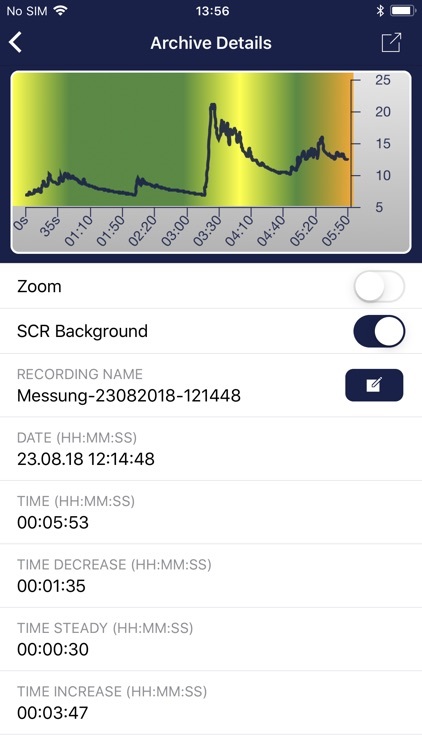 You need to buy an eSense sensor for this App, otherwise you cannot measure anything. - unlimited number of sessions in a session archive. - each session can be exported as CSV (comma separated file) either via E-Mail as attachment or to an office application on your device or dropbox, etc. 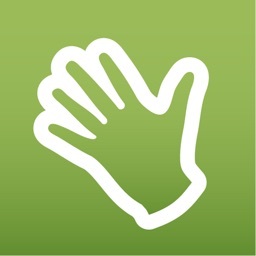 - Tactile feedback: Let your smartphone vibrate, intensity can be adjusted. Tablets are not supporting this feature, they can not vibrate. - Tone feedback: You can choose between 5 instruments and define a range for measurement values. In between of this range the tones are modulated by its pitch according to raising or falling values. Advanced users can even add their own tones. Now we also added a contineous sinus tone. - Procedures: This feature incorporates training programs like guided relaxation, a stress test, defined biofeedback training, etc. into the app. Two demos are included, you can create as many procedures of your own, as you want. 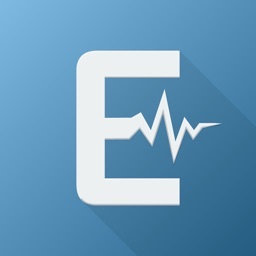 Enjoy our new eSense app!